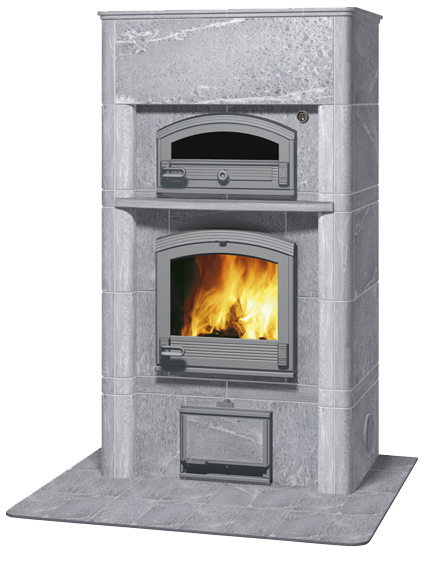 The smallest fireplace for placing against a wall with a genuine bakeoven. The traditional model has curved doors and a shelf. The bakeoven is in a practical location above the firebox door.